I’m very excited to let you know about a new project I’ve been working on with my friend Ian Wood. Ian has a BSc Hons in Mental Health Studies and worked as a mental health nurse for nearly fifteen years. 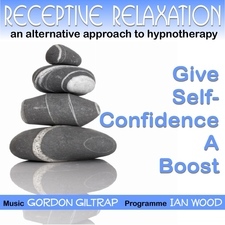 Over the last forty years he has developed strategies to help people develop inner potential through a technique he names “Receptive Relaxation”. This is a combination of Hypnotherapy, Yoga and Zen meditation, all of which have been moulded into an easily learned psychological process to help the individual make changes and develop new patterns of learning and behaviour.